Minutes after he climbs out of the water on Shadow Moses Island, Solid Snake is given an impossible mission: press the Select button when your phone rings. Colonel Roy Campbell outlines the very important mission to stop the terrorists from terrorising by any sneaky means necessary, then matter-of-factly educates Snake on operating an imaginary video game controller. Snake is a consummate professional, of course, and doesn’t mention how his commanding officer has gone insane and is spouting gibberish. After all, he’s got to get ready to fight his clone brother, and that lady who talks to wolves. Tampering with the fourth wall, fudging the boundaries between the fictional and the real, has been part of storytelling for centuries. Characters in a play delivering monologues directly to the audience, knowing looks to camera by 1980s TV stars, Deadpool chatting about cynical Marvel marketing tactics from inside his own comic, a film narrator purposely altering the course of a story thanks to forgotten details. More often than not, it’s used for comedic effect, as in the earlier Looney example; the ridiculous, surreal nature of a character who is aware they don’t really exist, or the ability for the fiction to share a joke with its audience. It can also be a way to impart information easily, as in Kiss Kiss Bang Bang, where Robert Downey Jr. offers story details in a particularly muddled fashion, or a shock tactic, such as the infamous scene at the end of The Great Train Robbery where a gun is turned on the audience and fired. Sometimes it’s a sly way to comment on the medium itself. Games frequently dabble in all things meta as well, from Max Payne‘s fractured realisation that he was inside a computer game (and inside a graphic novel, inside a computer game), to Batman Arkham Asylum and Eternal Darkness‘ fake system errors, to that unnerving part at the end of Assassin’s Creed II where Minerva talks directly to the player in the future through a pre-recorded message played by a very confused Rennaisance-era ladies man. But the introduction of interactivity makes this whole fourth wall business a little more complicated, what with the audience constantly reaching through the screen and fondling the cast. Metal Gear Solid takes the only logical route, completely ignoring any established rules about the diegetic and non-diegetic to tangle everything into a big, messy ball of non-fictional unreality. 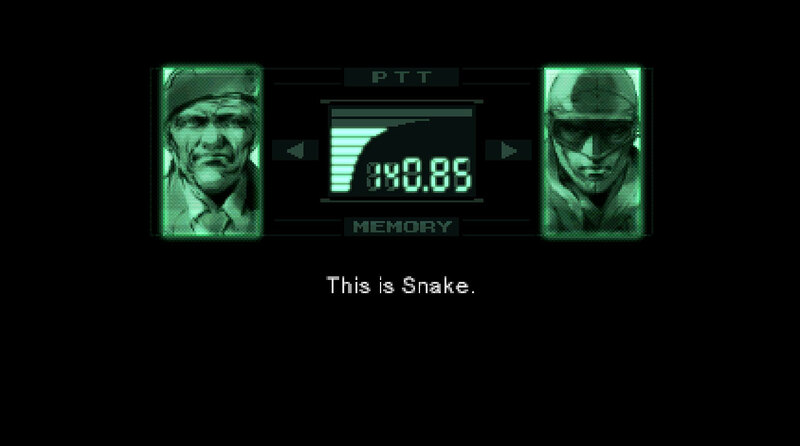 Campbell is telling Snake, played by us, how to use the Codec, and since we are Snake, our reaction — absorbing and appreciating this useful information — is equivalent to his reaction. We both exist as the same person, but also separately. If Snake were confused by the instruction, it would create a disconnect between the character and the player, pulling us out of the moment and reminding us that we are simply holding a controller and watching someone else’s life parade past. If this simple tutorial was presented in the same manner as in many games — ethereal and often unspoken advice straight from the developer in the form of perfunctory audio or text messages — the result would be the same: broken atmosphere. By making the player character complicit in the absurd meta-fiction along with everyone else, we maintain our connection to the people and the events. We work with the game to create a new reality that is not a fictional story or a person playing a video game on their television, but the merging of both. Common sense suggests a story which maintains a solid wall between itself the audience will be more realistic, and therefore more immersive, than one which allows itself to pass back and forth. But is there any measurable impact to immersion from breaking the fourth wall? Even the most realistic games often break it before the action proper, with something resembling a tutorial, menu or mission briefing. When Psycho Mantis makes our controller vibrate, or tells us what Konami games are on our memory cards it solidifies him as the enigmatic and pseudo-magical character he is intended to be. The game uses the concept of interactivity and our expectations of the line in the sand between player and game to develop Mantis. His actions and personality are inextricably linked to how he interacts with us as real people, which would be impossible using traditional storytelling methods. The merging of Metal Gear‘s narrative elements with its status as an interactive product comes to a particularly insane and poignant head in Metal Gear Solid 2: Sons of Liberty, when it becomes clear (for a given value of “clear”) that Raiden has been involved in a gigantic testing simulation. First we discover that this S3 Plan is a Solid Snake Simulation, designed to recreate the conditions from the original MGS and build soldiers with similar skills. Then, while that sinks in, we learn it actually stands for Selection for Societal Sanity, and is a way for a monstrous AI to demonstrate both its control of world events and the need for such control. All of this is a rather large nod and wink to the player, who is the original simulation candidate. The recreation of specific elements — improbable bosses, impending terrorist threats, lone operatives sent in to fix big problems — are references not only to Metal Gear Solid, but to familiar video game logic across the board. Events begin escalating along lines entirely inconsistent with reality, but perfectly in line with the steam train of ain progress. 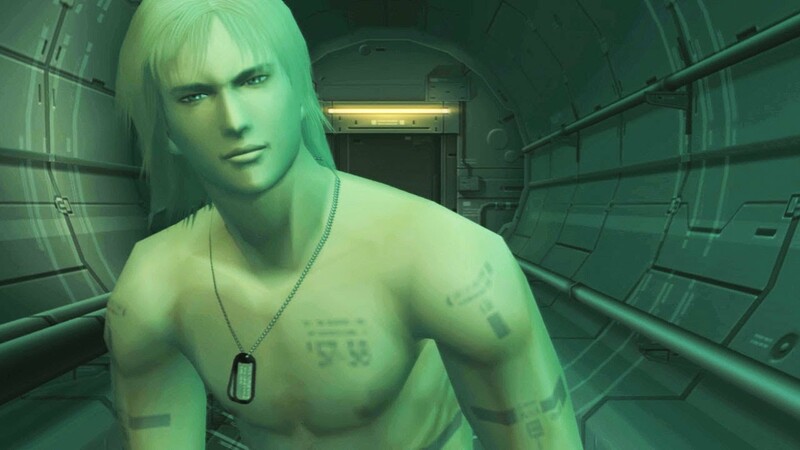 Raiden is stripped naked for no narrative reason, but in gameplay terms it leaves players feeling vulnerable, exposed and probably very awkward. A boss fight occurs on the top of a government building, with Raiden and Solidus seemingly both beginning their sword fight because such things need dramatic endings and narrative closure. Often, modern video game development can find itself intensely focused on the idea of fidelity, in all its forms. Better technology means the ability to create seamless, realistic worlds in which to carefully place narrative elements. But games like Metal Gear Solid show there are other paths to take. Journey, by thatgamecompany, leaves the exact experience of individual players in the hands of a potentially lopsided multiplayer system which encourages a disregard for the fourth wall. Anonymous players can be paired with one another, and one will inevitably have more foreknowledge about the game than the other. This leads to individual narratives that differ purely based on the external, interactive factors and the likelihood of people adventuring with someone that already knows either how the game works or what comes next. The Unfinished Swan also forces players to exists in a world where there is no boundary between those who play and those who are part of the fiction. The initial levels are only revealed by choosing to begin pressing buttons; nothing the character chooses to do will progress the game unless it’s a decidedly real action taken based on knowledge of gaming conventions. These are not traditional examples of a broken fourth wall, but they do demonstrate something I think Metal Gear Solid asks us to consider constantly: the very nature of interactivity means there is no fourth wall to break. A video game story necessarily exists in a world that includes the player, not just the character they control, and you can’t simply pretend they don’t exist. This amalgam of the imaginary and the real which forms any gaming interaction accounts for that unusual discomfort sometimes experienced when a game’s story is just too linear. On the surface it’s an odd complaint, if the gameplay itself is of a standard, but it represents a primordial desire to be involved in events which presumably led us to games in the first place. Metal Gear has a reputation for extremely long sequences of passive acceptance as waves of chatter and floods of cutscenes wash over the player, but it is to be commended for proudly stating that the player is an important part of the puzzle. From the moment Colonel Campbell tells us about the Select button, the game is making a statement. You are not controlling Snake, you are Snake; and this universe only exists because you interact with it. The burden of the player’s role is exactly why games have the power to tell stories unlike anything you can find elsewhere.